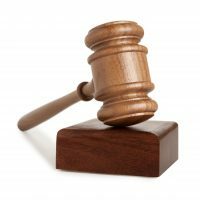 The best case caption ever is wasted on a run of the mill business dispute between a company that buys equipment and a cosmetics company looking to dispose of some – but no, not this equipment. Hey guys, are you interested in the closet full of BeautiControl we’re warehousing in the downstairs hall out on Harris Lake Road? Yeah, there’s a fight over personal jurisdiction and the Court concluded that there wasn’t any with the usual “reasonably expected” and “purposeful availment” analysis, but who cares? I’m still bummed about all that obsolete skin care product I am sneaking out of the house to the dumpster one bottle at a time hoping my wife won’t notice before one of us dies. 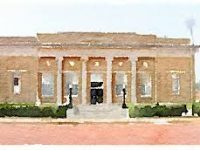 Today’s second case addresses the same issues in a case involving the same plaintiff – but with different facts as to a different defendant. And I wanted to point out some additional analysis involving the Federal Circuit’s recent decision in In re HP. Today’s posts deal with a couple of instances of the issue of venue practice by foreign corporations in patent cases. 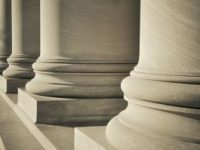 Currently this often takes the place of a motion to dismiss for lack of personal jurisdiction under FRCP 12(b)(2) and an alternative motion to transfer under 28 USC Section 1404. Today we have a couple of examples of this. The Supreme Court’s recent opinion in TC Heartland has had the effect of shifting the focus of venue briefing in many cases from Section 1404 motions to transfer venue to Rule 12(b)(3) motions to dismiss for improper venue, often asserting that the defendant does not have a “regular and established business” in the district, as well as Section 1404 motions seeking a transfer based on convenience. Because of the similarity of the former improper venue analysis to a motion to dismiss for lack of personal jurisdiction, those motions were sometimes brought together, even though to be successful, the latter had to show the lack of sufficient contacts with the entire state of Texas, not just the district. 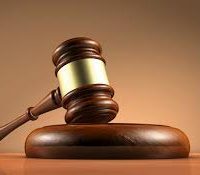 This case presents both flavors of motions to dismiss in the case of automobile manufacturers and distributors, and required rebriefing of the convenience issues after the Court’s ruling on the first two motions. 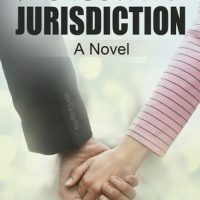 Come to think of it, with general jurisdiction rare, and specific jurisdiction also hard to come by – maybe there is a romance novel in there someplace. 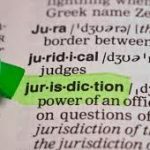 When you can get jurisdictional discovery and what you can get are beyond the scope of this order in a case where the existence of personal jurisdiction was challenged. But it does tell you what the timing would be and how it affects your briefing schedule. Okay, maybe that’s a tad bold, but seriously – what’s not to like about an opinion that lays out jurisdictional facts and tells you when you have enough? Of course it also notes that there isn’t general personal jurisdiction, but then you already knew that, right?